All over the world, and today in the US, The Regulators and Big Tobacco Have Issued a Call To Arms. All over the world and today in the US, The Regulators, and Big Tobacco Have Issued a Call To Arms. It has been a bit of a cloudy day here in Vapeland USA. The FDA has released its rulings related to vaping. I am not commenting here. The leaders of that fight will let us all know what our roles are as the fight moves forward. As you may be aware, and as it likely is in your Homeland, the regulators, government agencies, big tobacco and the tax man are all clamoring for more than their due. Yes we all know it is politics about hungering for money, revenue, and taxes much more than it truly is about child safety, concern about the effects of chemicals on the body, or the fact that there is “not enough evidence”. That said, this is not a rant or an opinion piece. This is simply an imparting of information to the community we care about regarding a topic of grave importance to us all. My friends at CASAA , VTA, Georgia Smoke-Free Assn , and many other advocate groups and individuals like JT from VapeStars and Dimitri Agrafiotis are all of the opinion that rather than spend your valuable resources on armchair advocacy, it is time to educate yourself. Find groups, get involved, ask your shop owners how to help in the fight. Spend money with groups you can get behind and more importantly, spend TIME with them. Find someone in your sphere of influence and talk with them about your experience. Give them a starter kit. If we are in the industry, do we need to ask ourselves if we are doing all we can do?Do we really want to continue to risk our business and future with shiny, cartoon-oriented packaging ideally suited to fuel our opposition based on the lie that we market to children? Are questionably sexist marketing tactics, weapons, and obviously under legal aged vaping related images, videos etc. necessary, and if so do they actually deliver a message of health, safety, and “adultness” that we might need to win this battle? “WHAT CAN I DO? That is what everyone wants to know. The biggest thing you can do is be heard. Join an advocacy group, contact your elected officials, write blogs, send letters to the editors of papers, etc. Although I feel like a Preacher urging the congregation to tithe on Sunday morning , the fact is money talks. Public affairs firms, lawyers, websites, public relations and so on all cost big bucks. Our vaping Greek Friend, Dimitris Agrafiotis, a leader in the fight had this to say on FaceBook from England earlier today. I know that in the US, UK, and worldwide we all have been preparing for the impending onslaught. We are ready. Are you? If so let’s do this so in a year or two we aren’t sitting here lamenting the good old days of vaping. 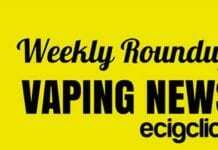 A good place to get started on researching what you need to know about vaping as a health and regulatory issue would be here in our directory. From there, or your social networks, you will surely find more. If there are organizations, exceptional advocates, or stories we need to hear, please follow us on Twitter, or Instagram, and join us on our FaceBook page. Let us know about it.